It is ego of humans that they kill animals to please God. It is basically cave-man’s immature idea of pleasing the Gods/Goddesses who controlled rains etc,with more progress, religions will leave this practice. Many sects of hinduism have already banned animal sacrifice. God is certainly not happy on this. Sacrificing any life, is a sin.Who are we to decide the death of a life? 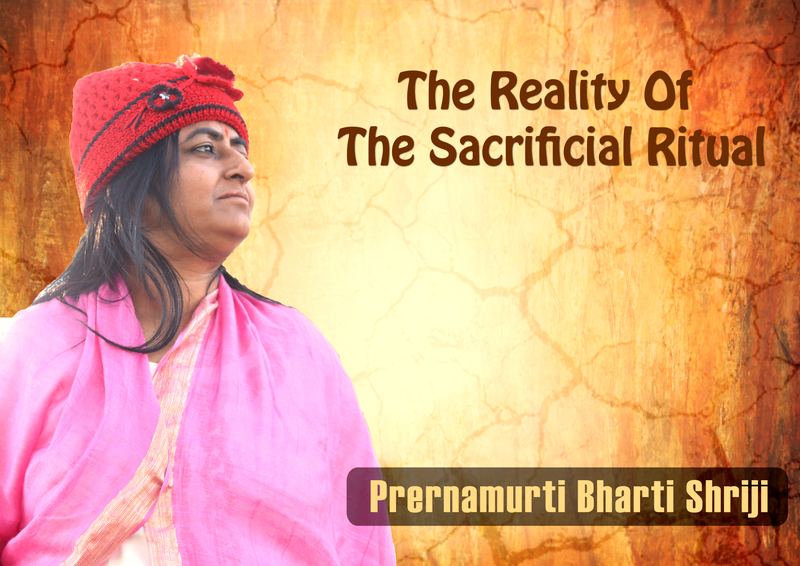 Even if u sacrifice yourself to keep the God in good humor, and win his favor, that too is a sin.God never expects this from anybody.Reading the legends and many myths its clear that Gods does not get pleased with any sacrifices. Education is to analyze and decide the facts.Don’t believe what all u read and hear.Think yourself deeply. Do the people sacrifice their innocent kids, instead of hen and cattles? Killing for food too is sin. In Sanatana Dharma No GOD OR GODDESS required or requires any Animal or human sacrifice. God is the embodiment of Compassion and kindness.God does not want one of his own creation to be put to forcible death. Flowers, Fruits are offered along with other Rice items, Honey, Curd, Milk etc. It is a Sin to kill any living beings .So many animals are throats are half cut and thrown on road and they suffer with pain for 10 minutes or so and finally die. More than millions die like that every day .Are they not living beings? Is it not hurting a life? A life is a life. That which we can not return , we can not take .So we can not make them alive again, so we have no right to remove their life. Moreover a sacrifice to please someone cannot be meaningful if we sacrifice what belongs to that someone. Animals are God given gift to mankind and the same when sacrificed to please God contradicts the meaning of worship. Animals have rights too. They are living creatures and they deserve if not our love, at least our respect. As a society we have progressed beyond the days of when we would sacrifice humans on an alter and that progress should extend to animals as well. Imagine you were the poor soul elected to be slaughtered for a religious event, the idea is horrifying. Why should anyone be granted the God like power to choose when anything, even an animal, should die even if under the pretext of appeasing a God. If their god wants the animal let God take it himself.